On April 13th 1945, a division of American soldiers was ordered to investigate a train abandoned by German soldiers near a concentration camp. 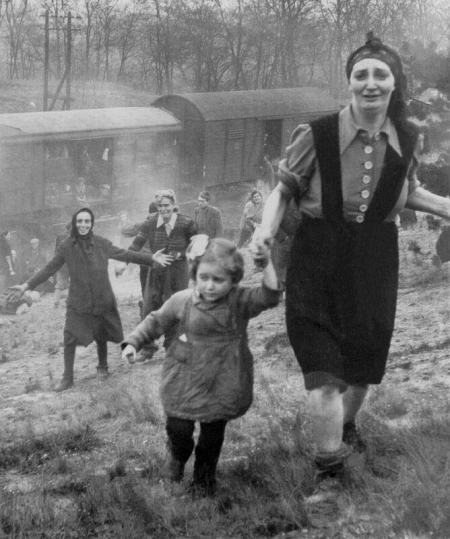 The train was packed with Jewish families: over 2,500 people – men, women and children. The Germans were about to move them to a new concentration camp. The Americans were able to release them all, and the photo below was taken by Major Clarence L. Benjamin, who participated in this operation. This is the image of freedom.